If you would rather not use the built-in hover button functionality that comes with Tasty Pins, you can disable it by adding a short code snippet to your theme functions.php file. Log in to your WordPress dashboard, then select Appearance -> Editor. Click "I Understand" in the prompt that appears. 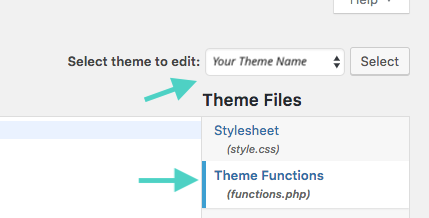 Make sure your theme is selected in the top-right, then select Theme Functions (functions.php). * Disable Tasty Pins Pinterest image hover button. Click "Update File" and the button should stop appearing on your images. If you are using another hover button and you feel that the above are important, you may want to check with your current hover button developer to make sure they use the default Pinterest hover button.